Everyone has at least one diet or lifestyle vice, and that is simply because we are all human. Whether it's candy, happy hour cocktails, or four daily cups of coffee, we all have habits we'd rather kick—which is infinitely easier said than done. "Oftentimes our not-so-healthy habits are so ingrained and deep-rooted that it can be mind-boggling to imagine life without them," comments holistic nutritionist Jessica Waller, who says the true key to breaking out of unhealthy habits is to pinpoint the exact scenario in which you experience those cravings and try to alter your behavior by replacing it with something more soul-satisfying. This could be a walk, a phone call with a good friend, or a self-care practice like taking a wellness-boosting supplement. At Byrdie, we're in the business of providing realistic, science-backed health advice; so in that spirit, we've put together this list of wellness supplements catered to your particular vice—in other words, whether you're into refined sugar or cigarettes, there is a healthy alternative out there that can provide some of the pleasure you derive from that vice without the negative effects. Of course, letting go of ingrained habits doesn't happen overnight: "There will always be situations where you'll be triggered to reach for your vice," says Waller. "But try to step back and analyze the issue rather than giving into a knee-jerk reaction. And know that a small setback doesn't mean total failure. … Long term, you'll start to realize that you can live without the vice—and that you often feel better by doing so." To help you along that journey, we've put together this list of science-approved supplements to help you get over five different vices. Every time you feel a craving, just take one of these instead. 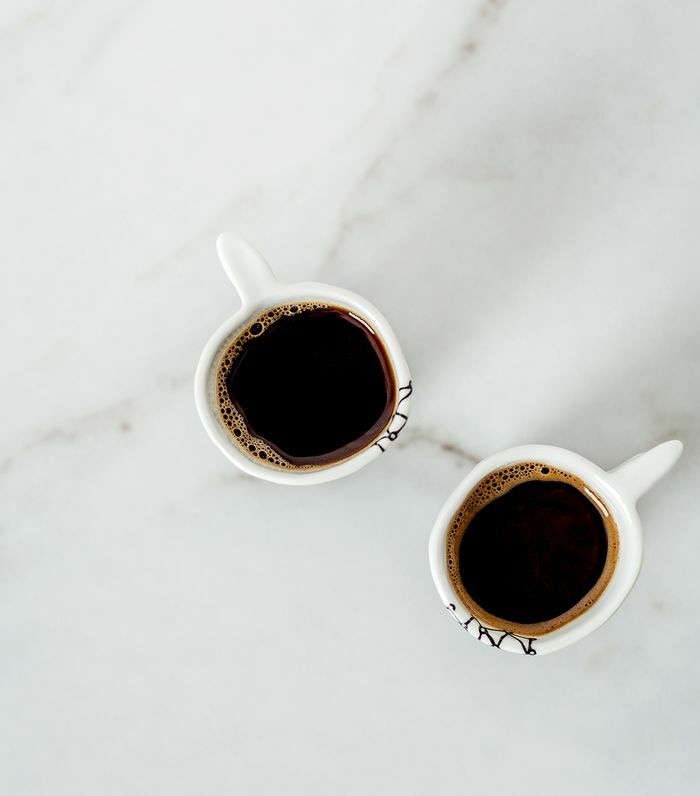 If you're into the alertness and focus that caffeine provides but aren't as big on the accompanying stress and jitters, Waller recommends trying a mushroom-based coffee, like 4-Sigmatic's Mushroom Coffee, instead. "Lion's Mane and Chaga mushrooms provide powerful immune support while increasing focus and productivity—without the crazy cortisol boost," she says. Kicking back with a relaxing happy hour cocktail or glass of wine at the end of the day is a part of our culture, but alcohol is a toxin—at the very least, it can dehydrate the body, and at worst, it can damage your organs and put you at risk for major diseases. If you're looking to casually cut back, Waller suggests switching from margaritas to tulsi mocktails, made with a dropper full of Holy Basil (tulsi) tincture plus a splash of rose water (or Dirty Lemon's Rose tonic) and a can of seltzer. Tulsi is a natural healing agent known to provide "energy through calm" and relieve anxiety instantly. Combined with these mixers, Waller says the drink is "sparkly, refreshing, and gives you a totally zen buzz." If you're looking to achieve the stress-free state that cannabis allows without getting stoned, switch to a CBD roll-on to achieve that tranquility. "Sagely Naturals' Tranquility Stress Treatment Roll-On combines cannabidiol with relaxing essential oils for a hefty dose of calm without the high," says Waller. Processed, refined sugar: So delicious, and so bad for your energy balance and overall health. If candy and cookies are your vices, Waller recommends working probiotics into your diet, which she says is her "tried-and-method" for reducing sugar hankerings. Waller's favorite is Saccharomyces boulardii, which "crowds out the sugar-craving bacteria in the gut and will totally reduce your sweet cravings stat." If the idea of cutting out your afternoon candy ritual is too sad, team Byrdie is also really into Sakara's Chocolate Probiotics ($39), which offer the best of both worlds. For many smokers, the comforting ritual of lighting up diminishes stress and anxiety, which is just as addicting mentally as nicotine is physically. For those trying to quit who are struggling with the mental aspect, consider looking into Rhodiola Rosea, or Arctic root, a stress-fighting adaptogenic herb. "Rhodiola helps with depression, anxiety, seasonal affective disorder, and fatigue," explains Integrative Medicine specialist Elizabeth Trattner, who says that the product does take a few weeks to kick in but has almost no side effects along the way. Hum's Big Chill supplement is chock full of Rhodiola and, according to reviewers prone to stress and anxiety, really works to take the edge off those experiences while also improving dullness in the skin (which should appeal to smokers especially). Do you have a favorite wellness supplement? DM us your product recommendations @thethirty!